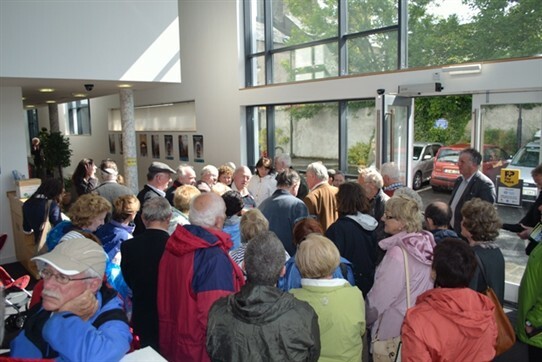 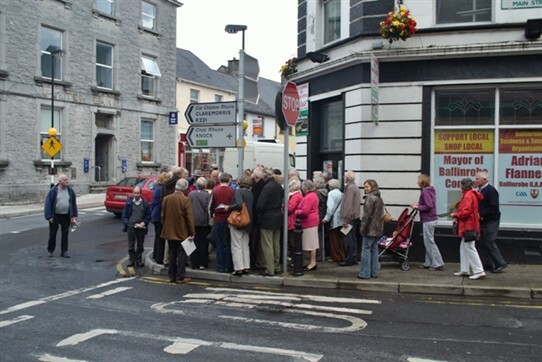 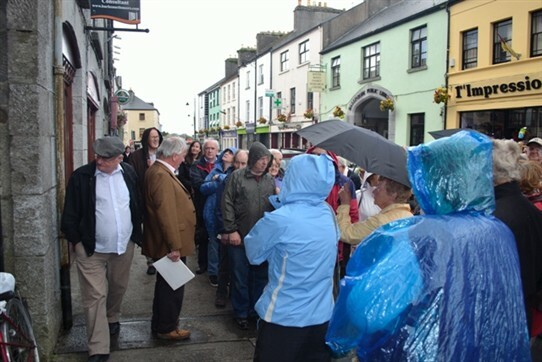 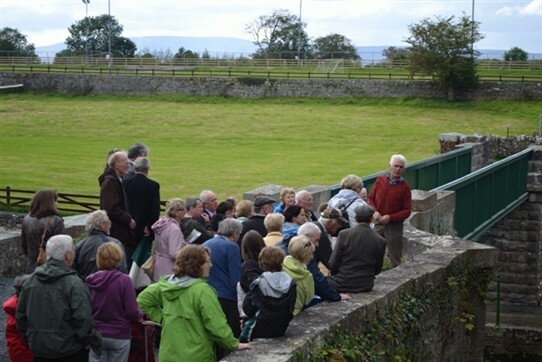 Despite showers participants from Ballinrobe, Westport, Castlebar, Claremorris, Swinford, Roscommon, Germany and Galway enjoyed a walk and talk on some of the highlights of Ballinrobe's historic sites. 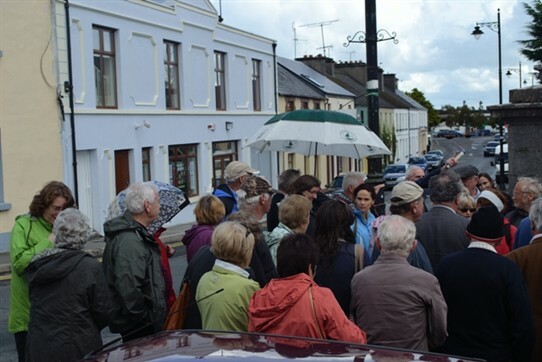 Members of the Ballinrobe Archaeological and Historical Society, who organised the event for Heritage Week and led the walk with Mr. 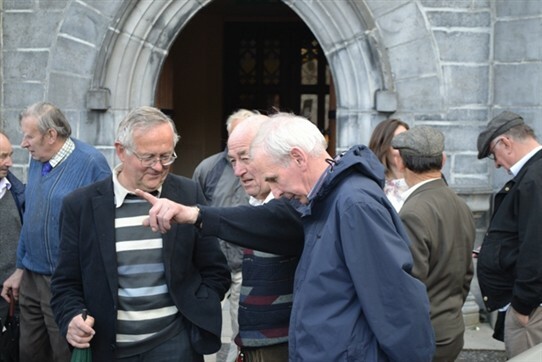 Patsy Murphy, Mr. Wally Loughery and Mr. Tom Tiernan spontaneously contributing added interesting information. 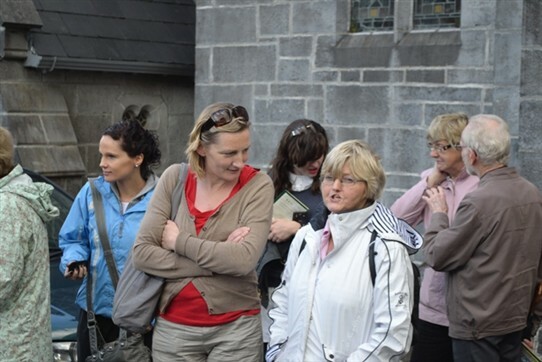 Ms. Deirdre Cunningham, Mayo County Council's Heritage Officer chatting with Ms Brona Joyce of Clew Bay Heritage Centre. 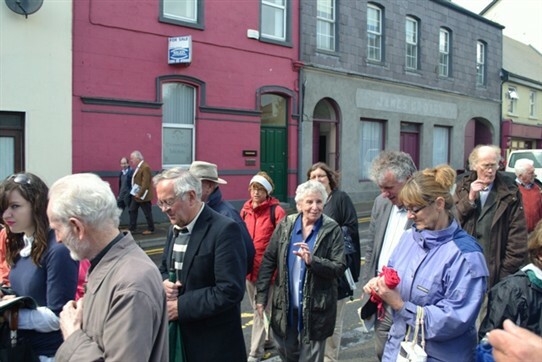 Mr. Tom Tiernan who spontaneously contributed extra information on his work on the Bower's Walk. 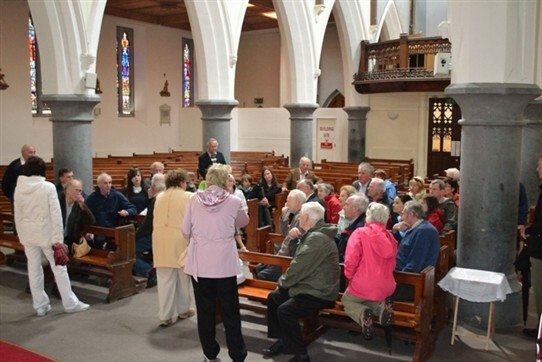 This page was added by Averil Staunton on 27/08/2011.